Bargain native american Man Wig. 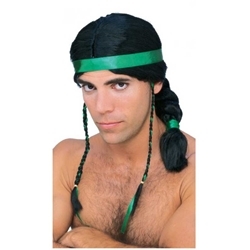 This is a unisex wig and can be used by female characters as well. Please note - headband may vary.